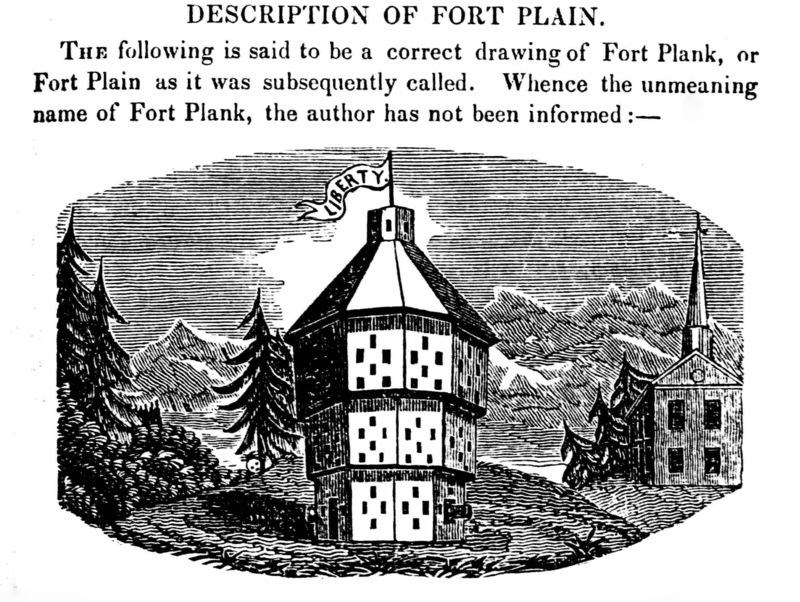 Only a few places in American lore are as steeped in history as Fort Plank. This relatively forgotten fortress hosted, in its short lifetime, over fifteen different military regiments from the States of New York, Massachusetts, New Hampshire, Pennsylvania, and Virginia. Its Commissary dispensed thousands of rations to the troops. It served as an intelligence hub on the eastern terminus of the Oneida Trail. It guarded the Otsquago Valley gateway to the Susquehanna and Unadilla Valleys. And, it was the focus of an August 2, 1780 attack which led to one of the Mid-Atlantic Region's three greatest massacres. Fort Plank, as we know it, was born out of the labors of local soldiers of Palatine descent, under the command of Captains Abraham Coapman and Jacob Diefendorf of the Canajoharie District Regiment of Tryon County Militia, in the spring of 1778. The surviving Papers of Commissary General of Issues Colonel Charles Stewart denote the opening of the Fort Plank Commissary occurred on July 2, 1778 under the capable hands of Lieutenant Joseph House, who had recently returned to the area from service in the Fourth New York Regiment. Contemporary records also suggest that the fort's site had been used extensively in the past as a place of encampment that had been protected by an "old blockhouse". These same sources show that the fort consisted of at least one redoubt, a guardhouse, an abatis, and two blockhouses. The headquarters of Tryon County's First Regiment of Militia were located within its walls from its birth until as late as 1782, with either Lieutenant Colonel Samuel Clyde or Major Abraham Coapman commonly in command. From December 13th, 1778 until May of 1779, it also served as the home of the Fourth New York Regiment under the command of Lieutenant Colonel Pierre Regnier De Rousi. After the devastating raids of 1780, it became the home of scores of displaced individuals. Within four short weeks of the August 2, 1780 "Fort Plank Massacre" the fortification, and the area surrounding it, which were collectively known as Fort Plank was renamed "Fort Plain". However, in October of 1782, "Fort Plain" was renamed "Fort McKeen" by order of Lieutenant Colonel Marinus Willett. The name "Fort McKeen" was short lived however, as only a fortnight later Lord Sterling ordered that all military works & appendages in the Canajoharie District of Tryon County be referred to only as "Fort Rensselaer and none other." After the war, the individual fortresses reassumed their previous names and today Fort Plank continues to be known simply as Fort Plain. By 1790 all remnants of the fortress and its earthworks were gone, marking the end of a short, but remarkable life. She now lies hidden beneath the fruits of nature on what is now locally called "Sand Hill", one and one half miles west of the mouth of the Otsquago Creek on the northern side of New York State Route 5S. In the 1980's, the loss of the memories of Fort Plank led a then young man from rural Nebraska, whose ancestors had died defending the fortress on August 2nd, 1780, to attempt to preserve the Fort's place in history. Despite this gentleman's excuse of not being an academic historian, he was eventually led to tell the stories of the Fort's gallant inhabitants in "The Bloodied Mohawk: The American Revolution in the Words of Fort Plank's Defenders and Other Mohawk Valley Partisans." This web-site is dedicated to the memories of the men and women who either lived within or passed through the confines of Fort Plank. Thus, researchers will hopefully find herein resources which will help them to understand the importance of this fortress and its role in establishing what has become the United States. On the behalf of the Partisans of the Mohawk Valley, I thank you for visiting their web site, and ask that you occasionally remember their sacrifices, as we owe them our freedom. The Bloodied Mohawk | "In Defense of the Bloodied Mohawk"
The Bibliography for "The Bloodied Mohawk" & "www.fort-plank.com"